(from Elijah). Composed by Felix Bartholdy Mendelssohn (1809-1847). Choral. Romantic, Classical, Contest, Festival, Sacred, Concert. Octavo. 16 pages. G. Schirmer #OC2498. 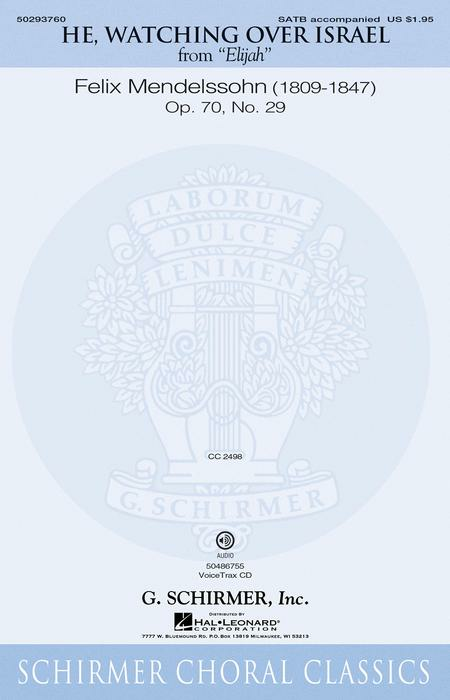 Published by G. Schirmer (HL.50293760). 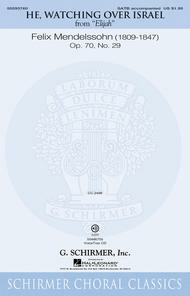 This is the classic G. Schirmer edition, now newly engraved. Available separately, the VoiceTrax CD features a full performance with vocals, orchestra accompaniment and individual part-predominant tracks to assist in rehearsal and individual practice. With English and German texts. Duration: ca. 3:30.